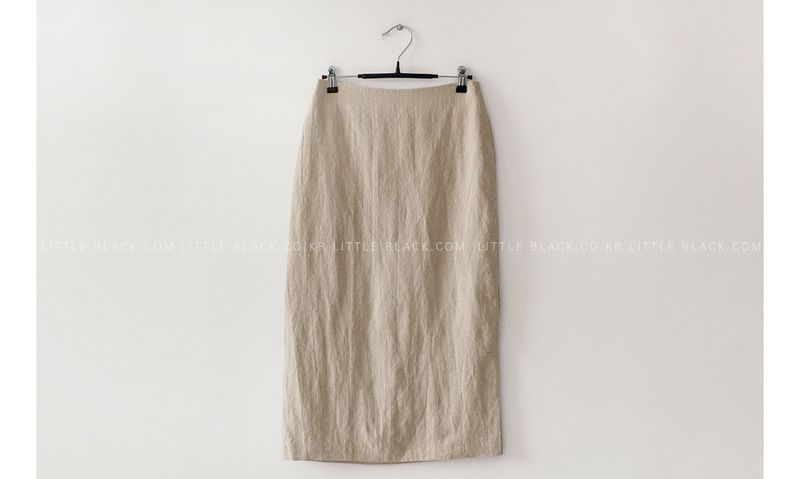 * Linen midi skirt with 21cm vent on left side. * Prone to wrinkling. 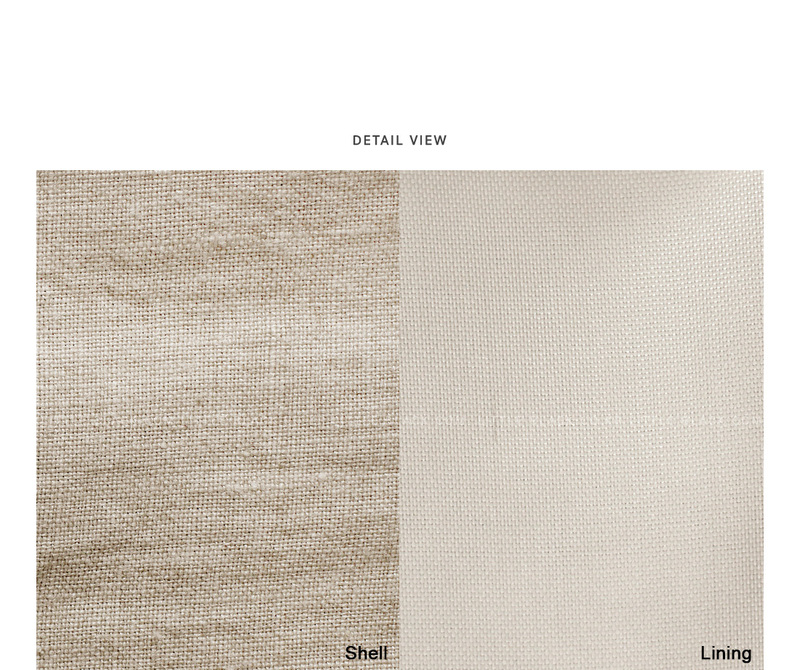 Stray threads and slubs may be detected on fabric. * Thin material. 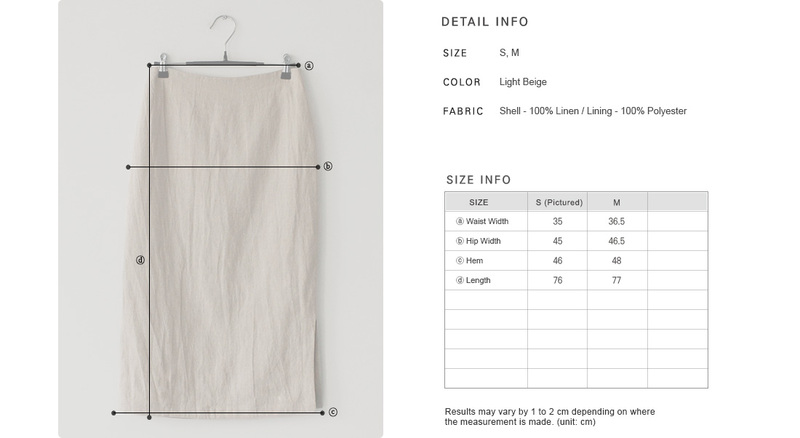 Non-lined section is slightly sheer.